How to get AVI cropped and check the format of the audio in the AVI file? Why should we crop AVI file? AVI is short for Audio Video Interleaved. When the bit rate is high, AVI is an excellent format because it adopted progressive scanning, the image is clear and detail delineation is better. From this point of view, AVI is a great video format, and also classic and popular. The disadvantage is also obvious: the file size is too large. We can reduce the size by lowering the resolution, however the image quality is lowered too. Sometimes, we do not need the whole screen, which means some areas can be removed.So if we can crop AVI file to get smaller and refined videos. So we need an easy-to-use software to crop AVI files. Maybe idoo Video Editor is a good choice, because it is the easiest AVI cropper. 1. How to crop AVI. 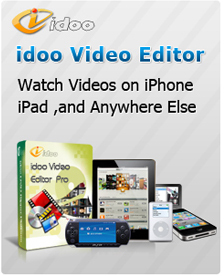 Download idoo Video Editor, and crop the AVI file in “Cropper” function. 2. How to convert cropped video into AVI file? With the integrated function of cropper and format conversion, you can easily crop the video and convert it into AVI files in one step. More than that, just as its name, Audio Video Interleaved, AVI supports synchronized playing of the video and audio, then it is convenient to edit or remove the audio when parsing the file. So we may need to check the information or the detailed format of the audio. The following part will show you how to convert cropped file into AVI, and how to check the format of the audio in the AVI file. 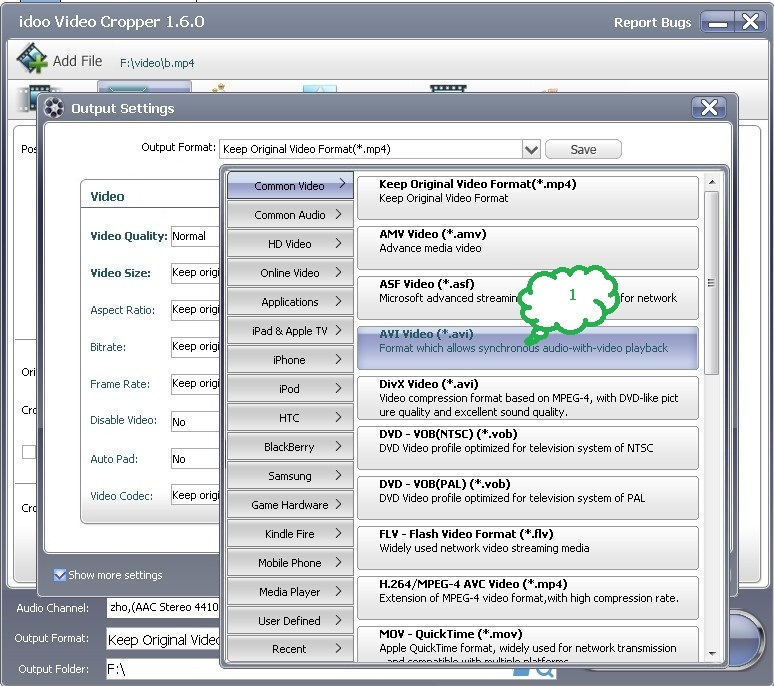 Click “Output Settings” in the interface of “Cropper”, and select “AVI Video” (Tag1) in the dialog box. Then click “Start” to begin converting your video into AVI files. B．How to check the format of the audio in a video file? Click “Audio Channel” (Tag2) in the interface of “Cropper”, and you may see the format of the audio.